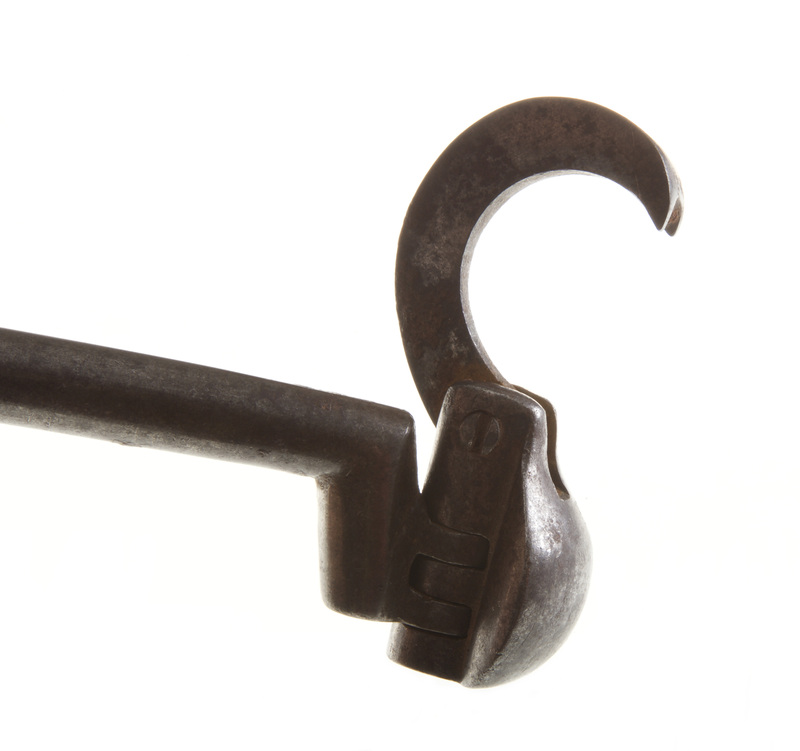 This and the previous key, designed circa 1820-1850, differ from most in the Ward Museum collection in that the claw attaches to the bolster rather than to the shaft head. 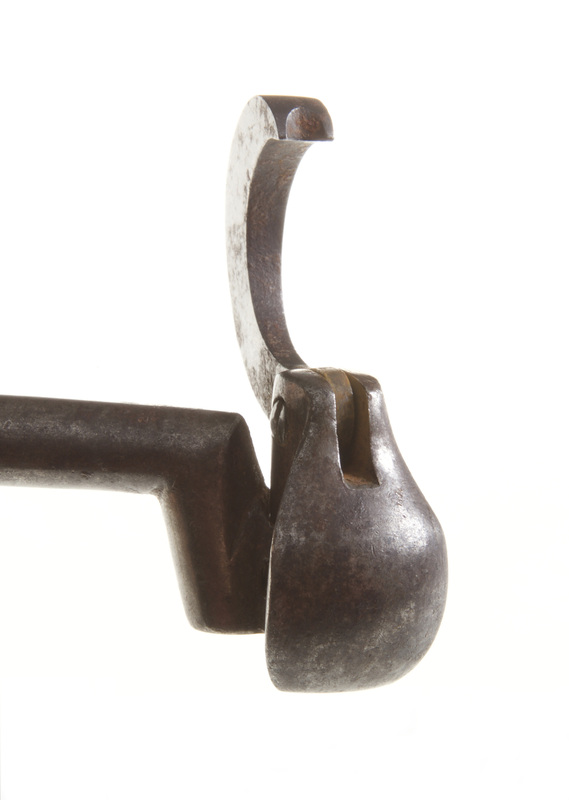 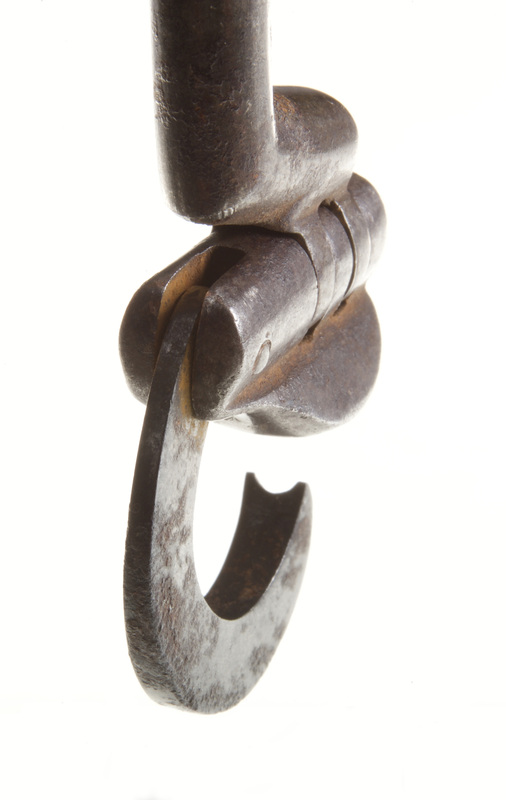 This bone-handled key (A147.184) is unusual in that the shaft head is bent at a right angle to the shaft and it supports a movable egg-shaped bolster to which the claw is attached. 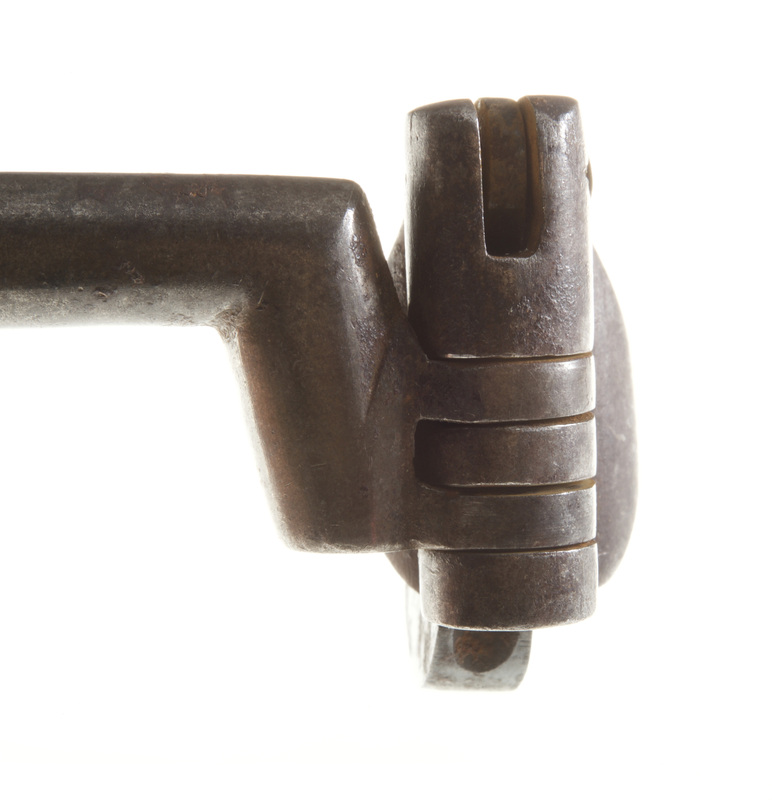 The bolster’s range of movement and its relationship to the claw allow for extractions of left or right teeth. 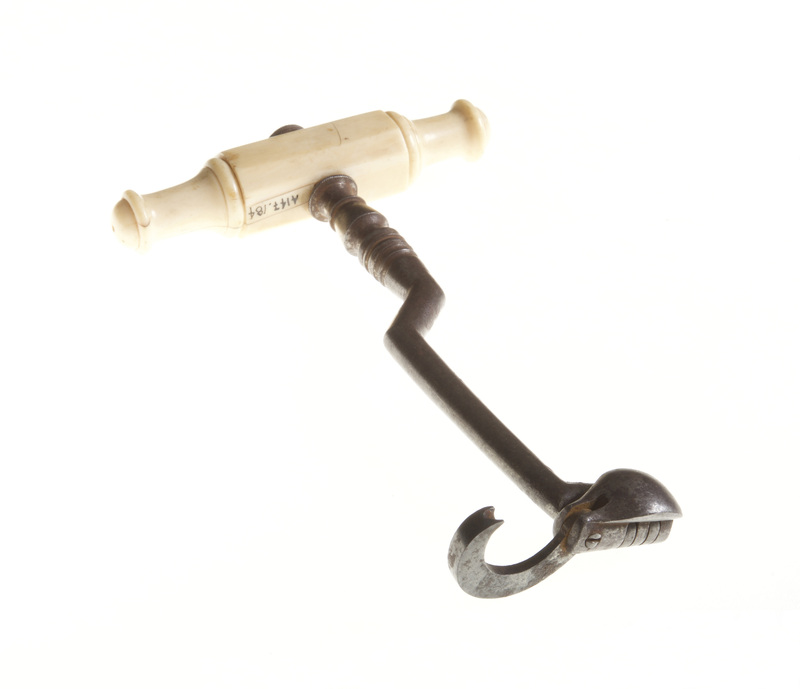 With the claw positioned in line with the shaft, it can be used as a pelican instrument.